A few weeks ago we took a limited batch of our white Jungmaven New Mexico t-shirts (if you haven't seen The Reed's Escape to Santa Fe, check it out!) 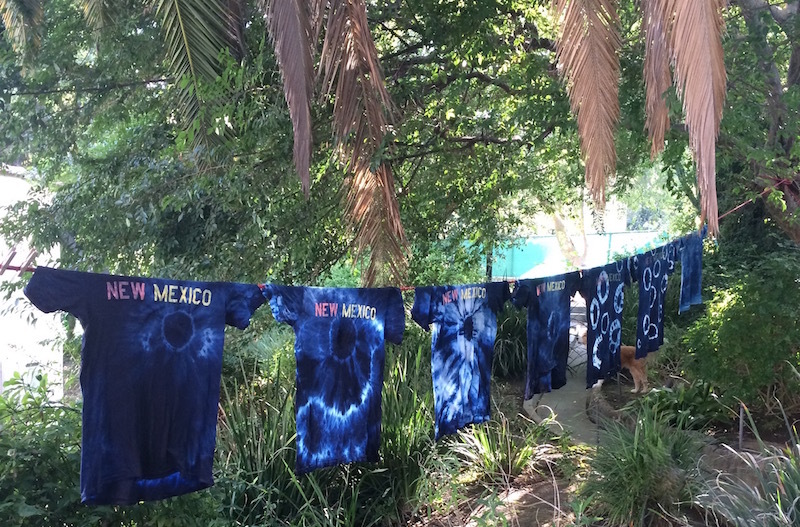 and dyed them with natural indigo dye. We used a kit made by Jacquard which will dye at least 15 shirts (I'd say more like 30 or more). Indigo has made a resurgence over the past few years but as you may know it's one of the oldest dyes used for coloring fabrics and still used today at the primary way that jeans get their color. 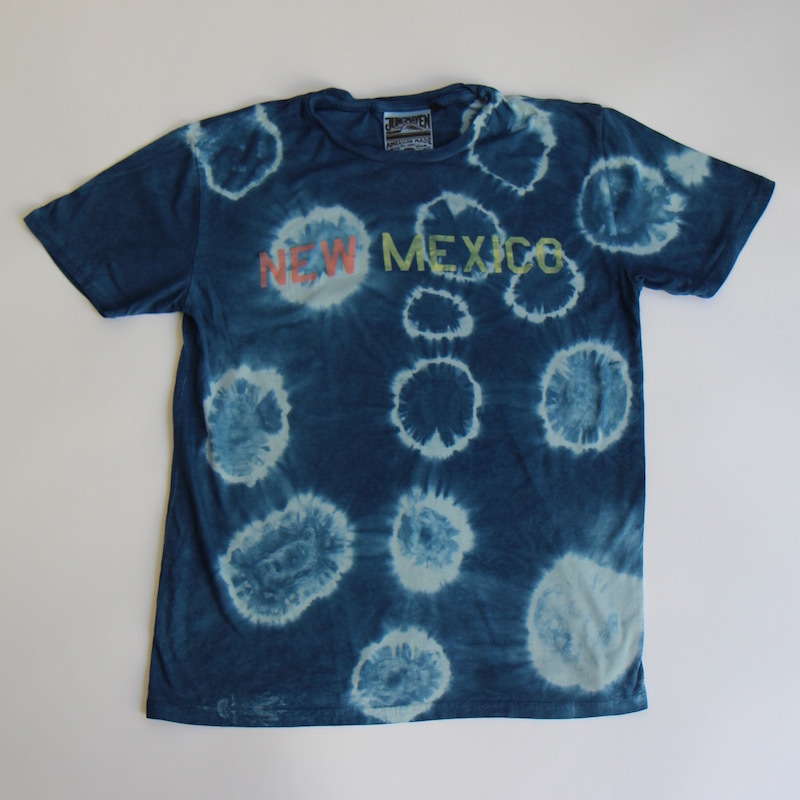 We mostly took found rocks and coral pieces and tied them to the shirts with rubber bands to create the radial spiral and shibori circle patterns—some came out great and some were more "experimental". 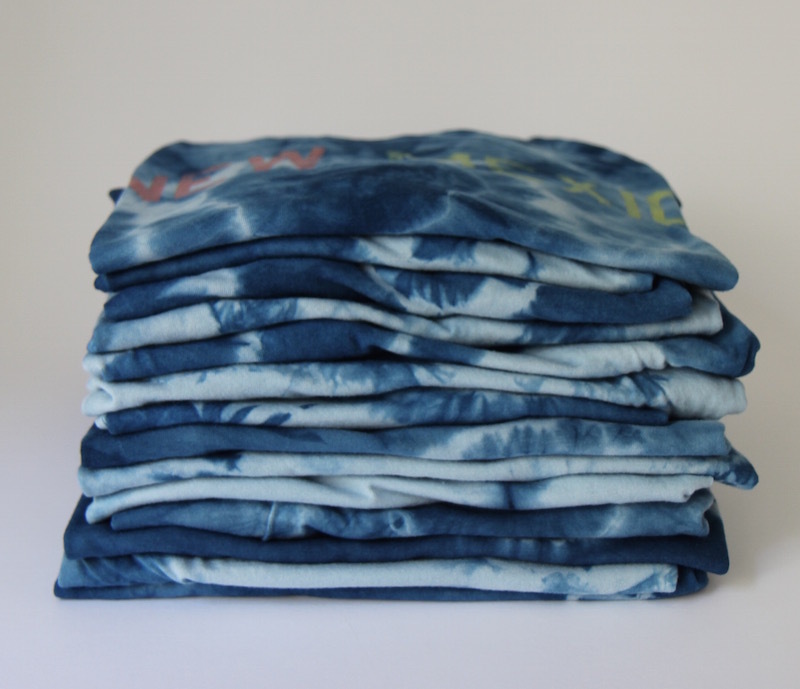 The shirts come out of the dye bath in a deep saturated blue, but (depending on what method you use) will likely fade a little once washed. 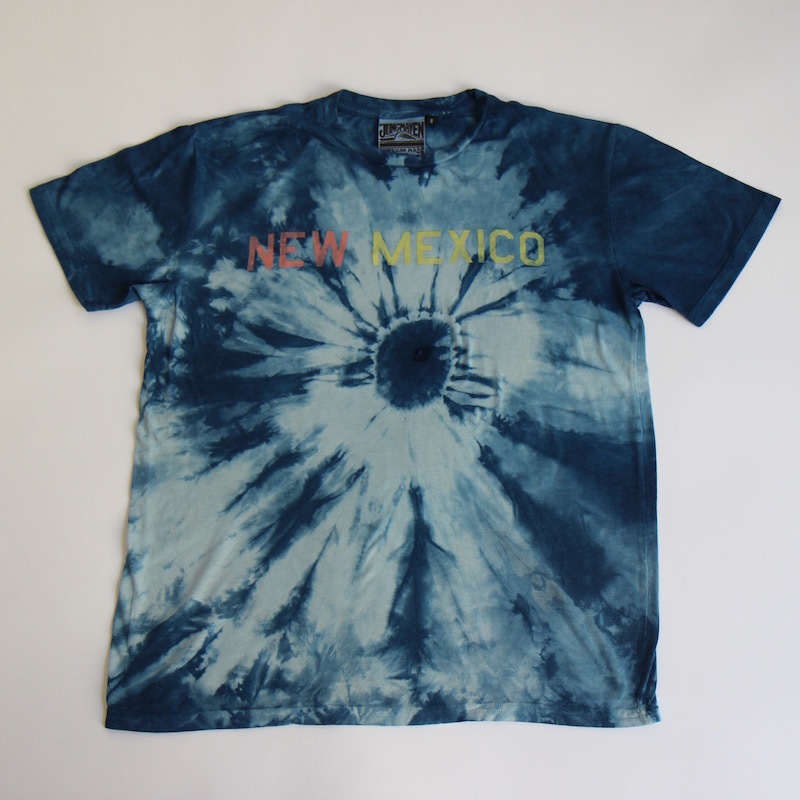 The Indigo Dyed New Mexico T-shirts ($39) are available in a limited run and if you're looking for a good dye kit, we highly recommend the Jacquard kit ($14)—and it's a super fun thing to do on a summer weekend—dye your bed spread, couch cover, some old white t-shirts, a pair of white vans, table cloths, napkins, rags, socks—I could go on forever. Wow.. awesome This is Beautiful wonderful tshirt..awesome Thanks..